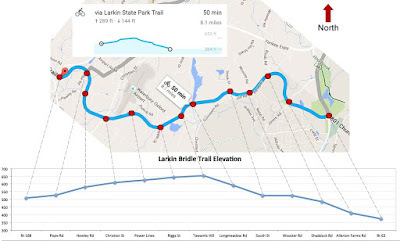 The former New York & New England Railroad ROW through Southbury, CT is now the Larkin Bridal Trail. 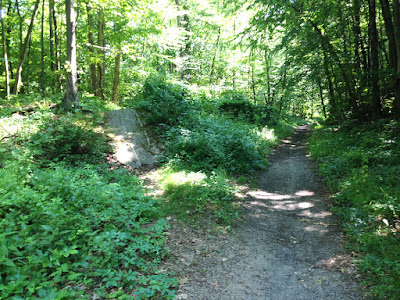 This is a great trail! 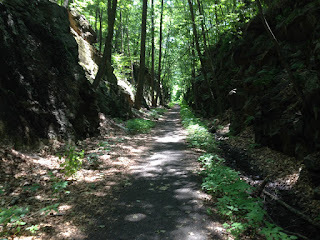 After a railroad-history-filled morning riding the trolleys trails of Woodbury and Middlebury, topped off with a delicious lunch washed down with a double IPA - I was still aching to do more railroad-history-related bike riding. 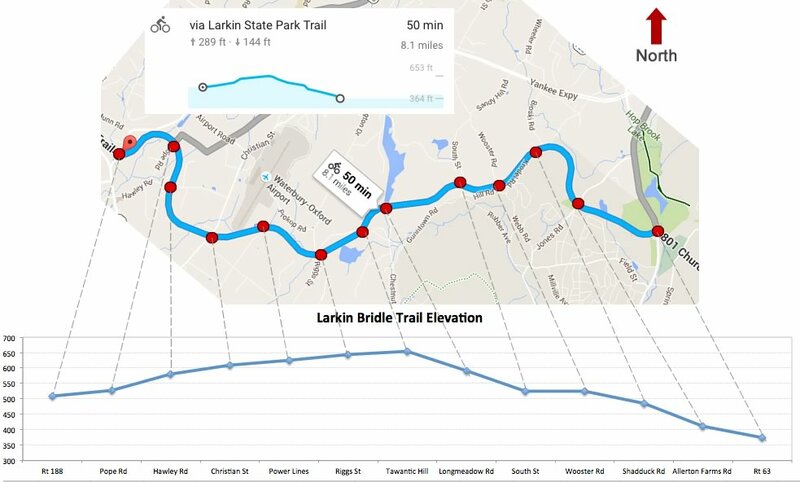 Next stop was the Larkin Trail. 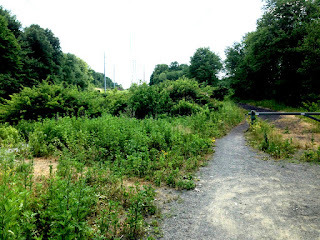 I took a look at the entrance on Rt 63 across from the Hop Brook Park and didn't see the ROW so I went to the Allerton Farms entrance instead. In order to satisfy my curiosity, I biked back to Rt 63 and saw that the ROW did end there - but it was cut off up high. 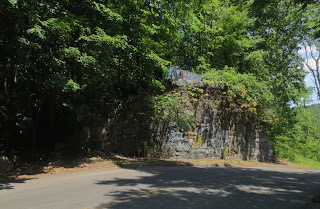 Apparently as Rt 63 was modernized, it removed a lot of the embankment. 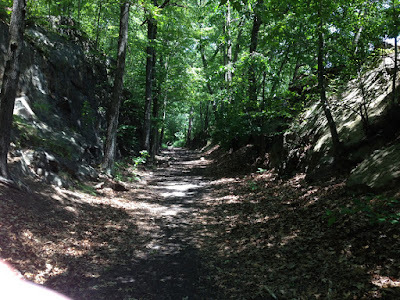 Well the ride was a blast - the Trail is very scenic and you ride thru quite a few rock cuts. 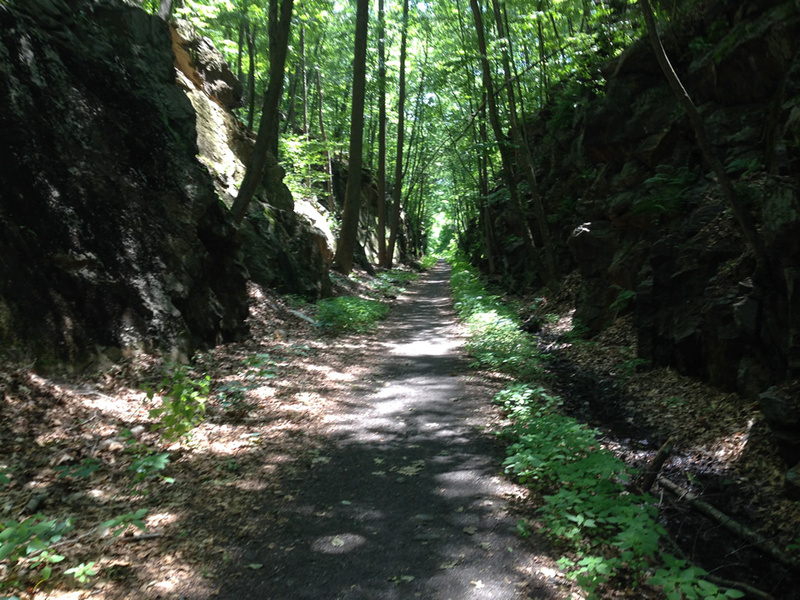 The eastern section is nicer to ride because it is now mostly single track. The far western end of the trail feels like basically just a wide dirt road. Of course I had to do it! This trail’s railroad history began in 1881 with completion of the New York & New England Railroad (NY&NE) between western Connecticut and New York. Following NY&NE bankruptcy in 1894, the New York, New Haven & Hartford Railroad (NYNH&H) took over the line until 1939. 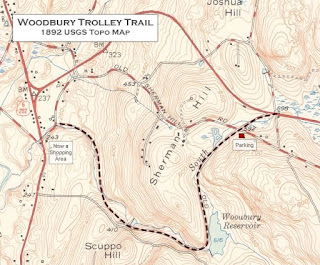 The line was abandoned between Waterbury and Southbury in 1939 and from Hawleyville Junction to Southbury in 1948. 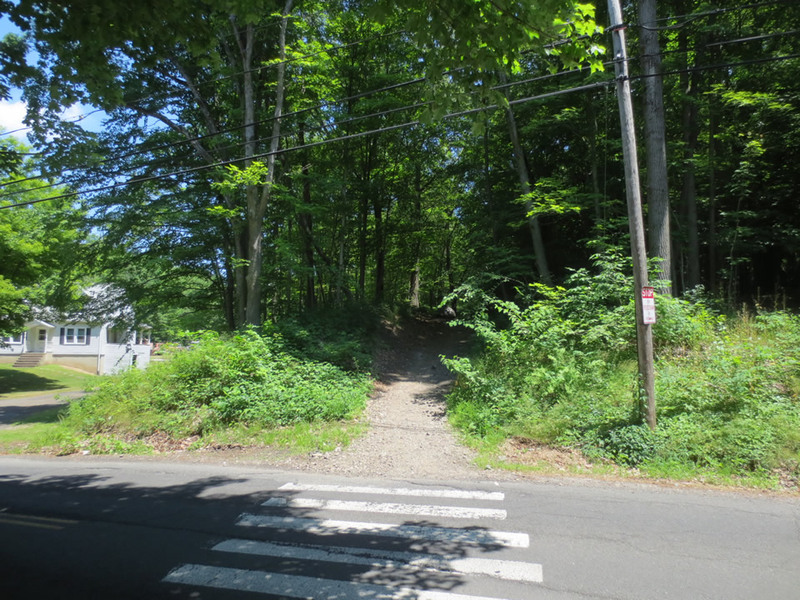 The line between Hawleyville and Waterbury had one the region’s steepest grades up to Towantic summit. The severity of that grade is the key reason why the NYNH&H decided to upgrade and double track the alternative longer route from Danbury to Hartford via Derby Jct. 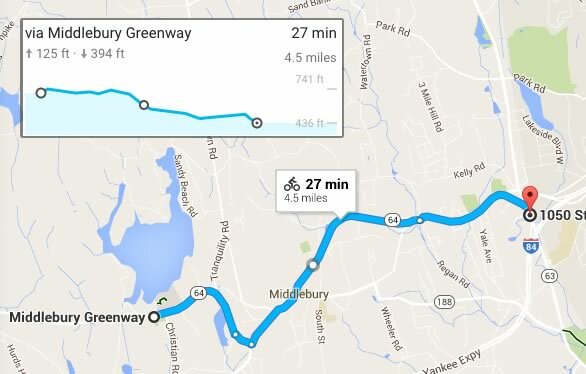 in 1908-1911 and allowed this shorter route via Towantic to fade into insignificance. 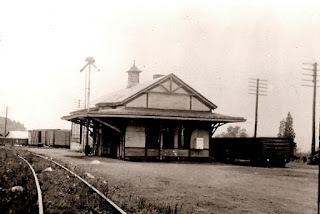 The Southbury Station was up on the top of Depot Hill. 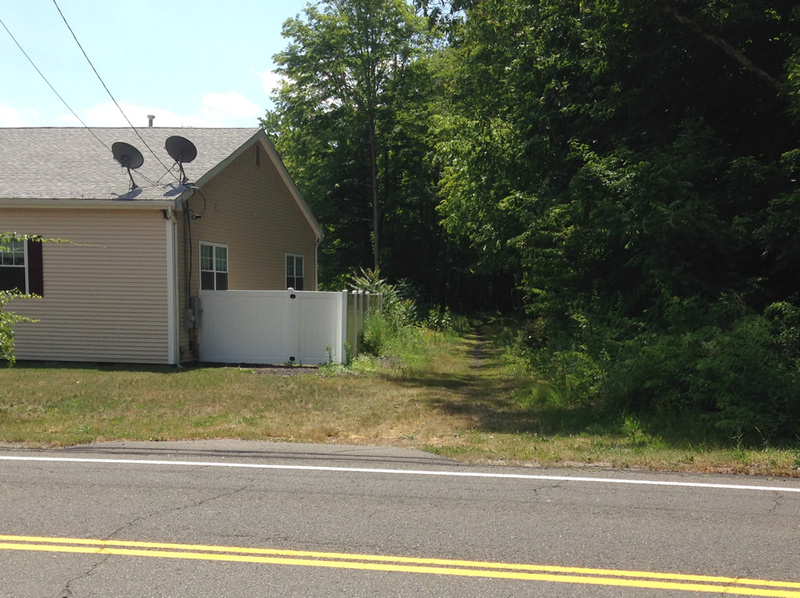 It was razed during the construction of Interstate 84. The final regular passenger service disappeared in 1932, and by 1937 most of the line east of Southbury was abandoned. The Hawleyville-Southbury portion existed a bit longer but was abandoned in 1948. The ROW was purchased by a Dr. Charles L. Larkin when the NYNH&H pulled out in 1939, and converted to a bridle path. Larkin was a wealthy Middlebury resident and horse lover and had land abutting the NY&NE ROW near South St. in Middlebury. 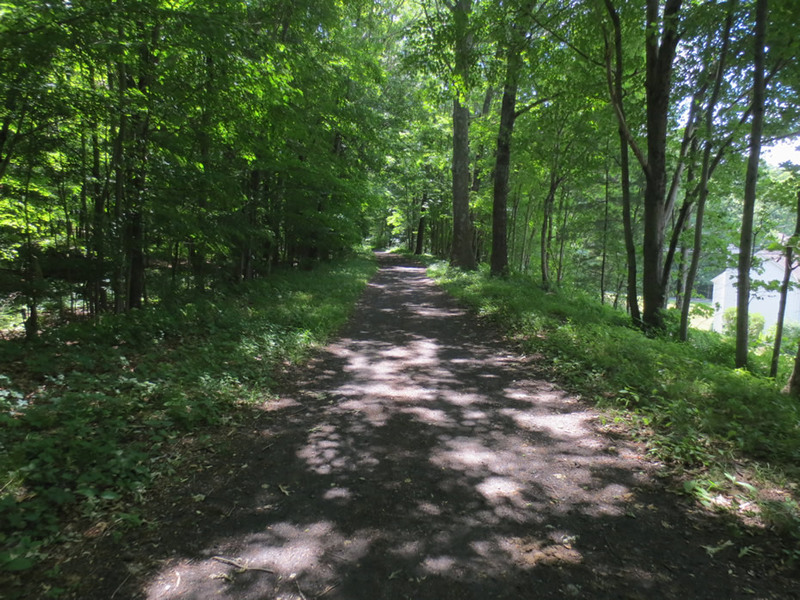 He gifted it to the state in 1943 for a bridle trail. 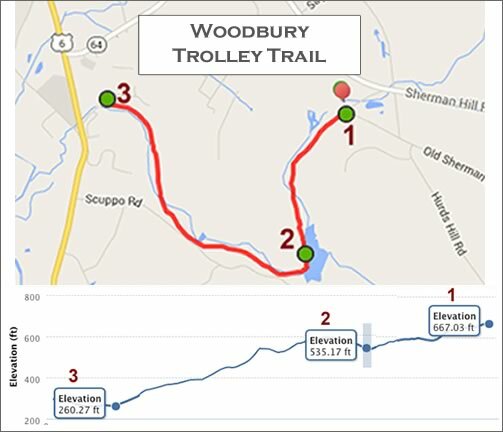 A trolley line from Waterbury to Woodbury was completed in 1908 and an amusement park was built on the Lake Quassapaug (formerly known as Quassapaug Pond) as a way to get workers and their families to ride streetcars and railways on weekends. Steady patronage due to the trolley connection helped transform the Quassy Amusement Park into a full-fledged summer resort. 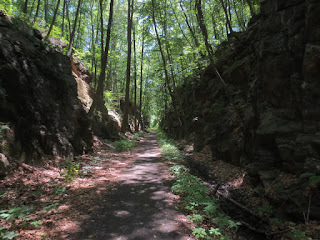 Initially known as the Woodbury and Waterbury Street Railway it soon became part of the Waterbury and Pomperaug Valley Street Railway and was subsequently absorbed by the massive Connecticut Company - the primary electric street railway company in Connecticut. 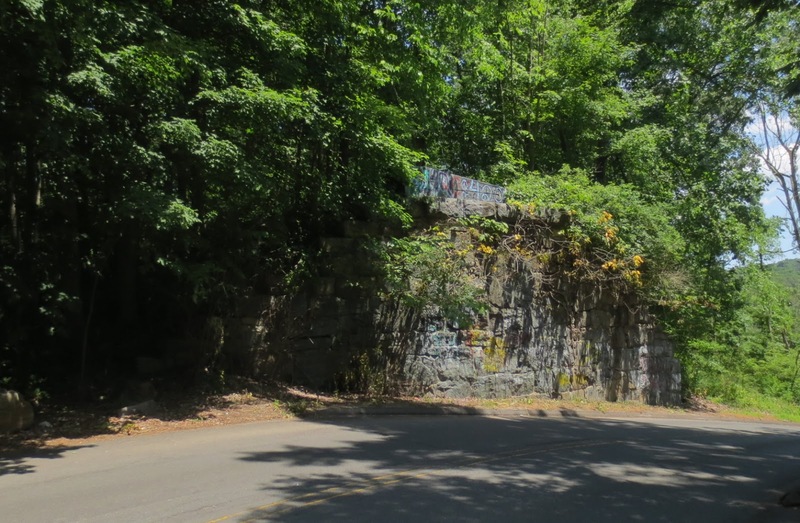 The line was abandoned in the 1930s when visitors began driving their cars to the resort. A couple of sections of the trolley right of way (ROW) still remain and are "bike friendly." 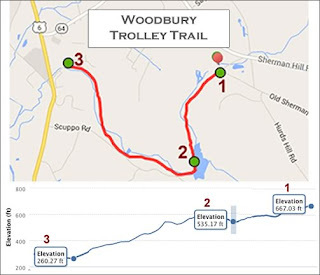 The Middlebury Greenway is a developed "official trail" but the section passing by the Woodbury Reservoir and following the South Brook is undeveloped. 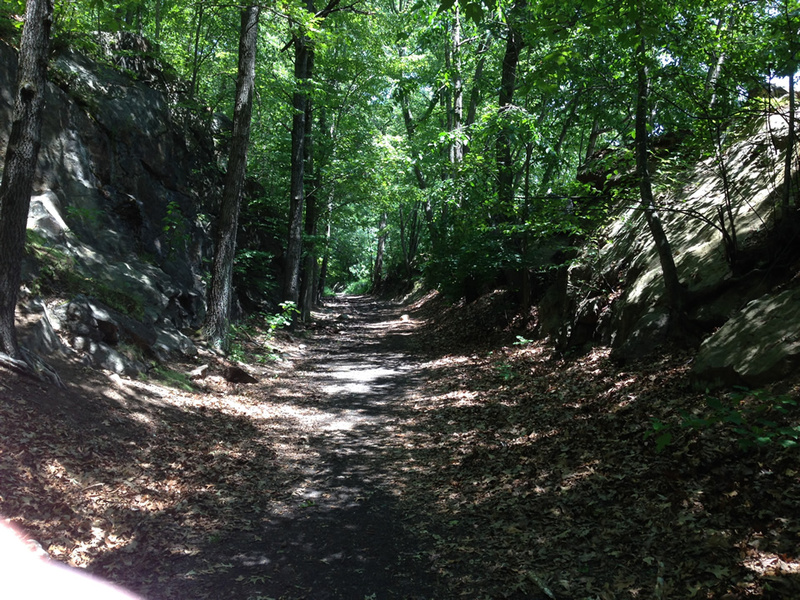 I started at Old Sherman Hill Road and road south towards the Reservoir. 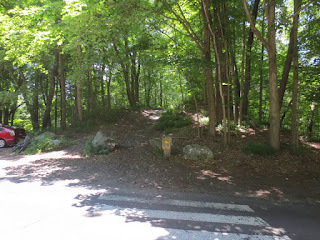 It was all downhill and strangely much steeper on the section going north into Woodbury. Definitely glad I was on the mountain bike and not the road bike! 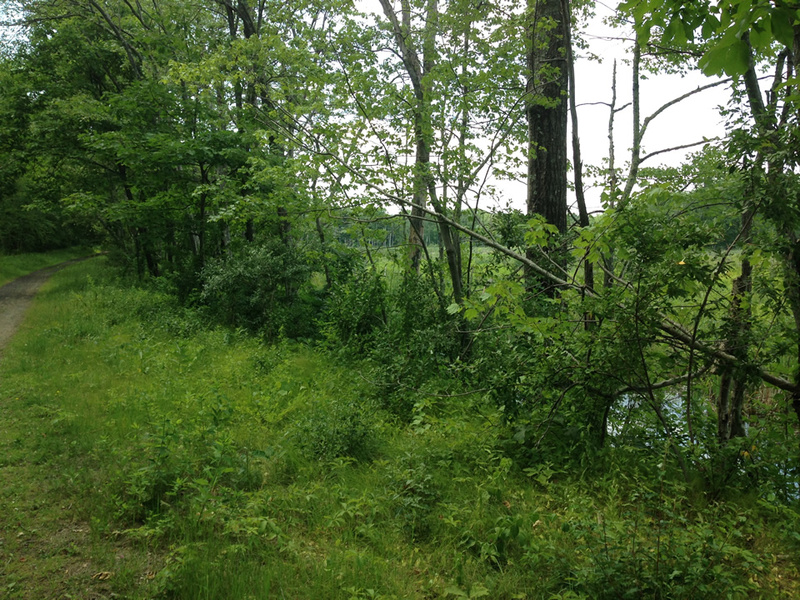 Some spots were pretty overgrown! 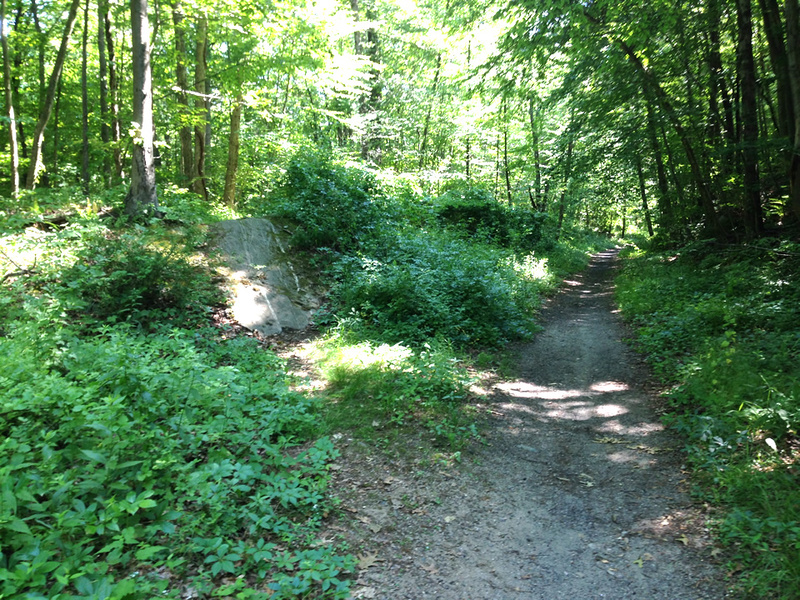 All uphill going back but doable! It took 20 minutes one way (going down) - probably 12-15 minutes if you wanted to bomb it. 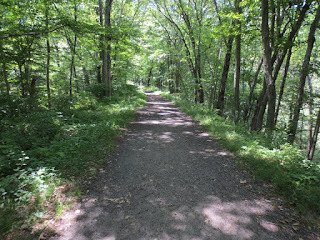 Going back - add at least another 5 minutes because its all uphill. 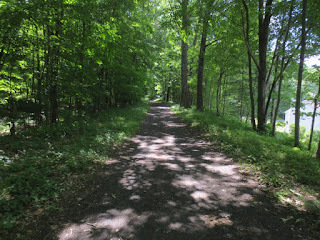 I next drove over the Middlebury to ride the Greenway. This follows the path of the old trolley ROW and has been fully paved, etc. It would have been better obviously on the road bike but the heavier bike and lots of hills made it more interesting for me. Oops - The official place to start! This place is now a pizza joint! Sure it was somewhat boring compared to riding single track or a rutted abandoned ROWs in the woods but it was nice to see the Town feature the trolley line and the hilly up and downs made it fun. I grabbed lunch--which included a double IPA!--at this spot: Maggie Mcfly’s. 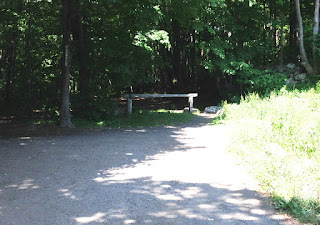 It was wonderful and headed a bit south to Ride the Larking Bridle Trail.